If you have never been to a conference, in person, that is focused around a topic or industry that you are passionate about, then you are missing out. I don’t mean like you missed out on the last cookie or you didn’t make it to the grocery store before is closed. You are missing out like a dog who is brought into the pound the day after the annual adoption day or more literally, you could be missing out on changing the course of your business or your life. No better example is that of my friend and now colleague Gary Miller who was not planning to attend the Vacation Rental Success Summit back in May 2016 then changed his mind at the last minute. He attended the summit having no experience in the vacation rental business and without even owning a property, but was considering the possibility of investing in the rental business. That decision to attend now sees him 6 months later with a cottage rental property called ‘Muskoka Pines’ that was fully booked all season. 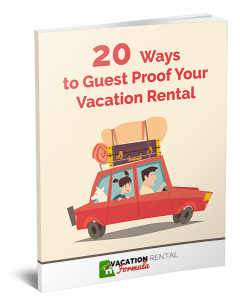 It also introduced him to Heather and myself which led to him being our very first member of the Vacation Rental Formula team outside of the original founders. It is crazy to think how such a simple decision can be so life-changing. I have always been apprehensive of attending conferences. Partly because I can be introverted around large groups of strangers. That being said, if the attendees are all passionate about the same thing then that’s when the magic happens and the barriers are removed. So, I just came back from the Converted16 conference hosted by LeadPages™ in Minneapolis, MN. The focus of this conference is exactly as you would expect, conversion. This is the conversion of leads to customers by online business owners just like you……..
Why would you think I’m an online business owner, I hear you ask. Well, here’s the deal. If you are not in the mindset that your vacation rental business is an online business, just take a few minutes to let that one sink in. Pretty much every business – brick & mortar or digital – needs to have an online presence. Even if you are marketing your VR business by simply having a listing on HomeAway, Airbnb or any other listing site, this is still a version of online marketing that has the potential reach to thousands, even millions of people. When you rely on others to do your online marketing, you lose control. Converted helped me to see how important it is to get some of that control back. 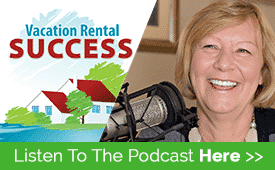 In this episode of the Vacation Rental Success Podcast, Heather and I discuss the speakers from Converted16 and some of the tips and tools some for these speakers are using to achieve the 4 steps of conversion. Links discussed in this episode. Converted – I will be attending in 2017 so come and join me. LeadPages™ – An online tool that you can use to collect email subscribers. Center™ – Integrates with all of your favorite business and marketing apps and automates actions between them. LOVED this episode and glad you’re covering a topic like conversion. 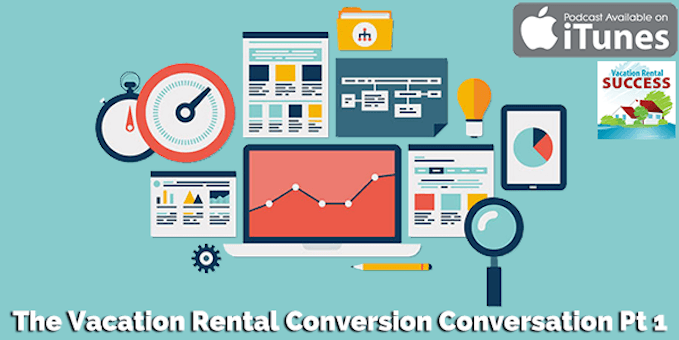 So far I’ve focused more on the “rented land” sites as you call them, but it seems like a full-on vacation rental site would be the holy grail of having a business that is closer to 100% under my control. Thanks for helping to shift people’s thinking on this! Great to hear from you Tyler and glad you enjoyed the episode. Having your own site is the launching pad for VR success. It takes a ton of work but there are so many owners who are reaping the benefits. Let us know how it goes. I’m working with Jive Systems too and just waiting for my equipment to arrive. Perhaps we should do another episode when we are both up and running with the digital handshake to share the experience. Sounds like fun! I too am waiting for my equipment. First Q 2017?